Now that Christmas is over, it’s time to start thinking about New Years and how you want to ring in 2018. While you still have about a week left to start thinking about New Year’s Resolutions, it might be in your best interest to consider how you want to spend 2018. Do you want to focus more on the relationships in your life or exercising more to stay healthy? Are you interested in trying a new hobby or eliminating bad habits? If you’re wondering what your New Year’s Resolution should be, then you can go with an old favorite and try to eat healthier. Most people say that they’ll eat fresh food and home cooked meals, but it’s always easier said than done. 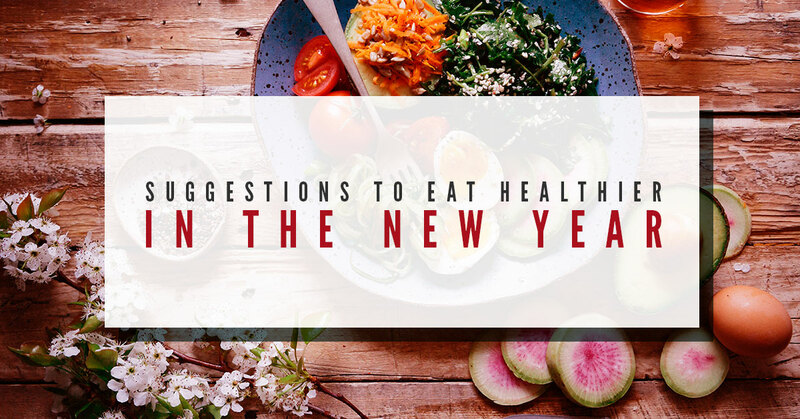 To make your life a little easier, we’ve compiled a few suggestions to help you eat healthier in the new year. Are you ready to start the new year off right with some healthy eating tips? At Joseph’s Classic Market, we have a myriad of fresh foods to help you start to eat healthier. Healthy eating isn’t just for weight loss, it will also help make you feel better during the day and in the long run. Eating better will give you the energy you need both mentally and physically. If you eat only hamburgers, donuts, and cookies all day long you’re not only going to have physical ailments, but your brain isn’t working at full capacity because you aren’t getting nutrients. These tips will help you get on the track to a healthier lifestyle and with our fresh food options, you can enjoy eating healthy. First, you’ll want to reduce your sugar intake. It’s easier said than done when so many items we eat have an influx of sugar. If you want to give up sugar altogether, then it’s best that you slowly take it from your diet, instead of quitting cold turkey. Cutting back on your sugar is a slow process and can be difficult when your coworkers are bringing in treats, but once you go a few days without sugar you’ll feel and look better. Vegetables are so delicious and should be consumed with every meal. By adding vegetables and protein into your meals, you’re able to get the brain power to get through the day. Vegetables are very low in calories and will fill you up a lot better than eating a donut or a bowl of cereal and it’ll get those gears working hard, so you start off the day right. There are many ways to incorporate veggies into your breakfast that range from eating a cucumber, feta, and tomato salad to mini omelets to take with you on the go. Mindful eating is probably something you’ve heard of because of how popular it is. Mindful eating is a great way to reset your intentions toward food because it allows you to think about everything you put in your mouth and actually appreciate it. When you’re working at your desk, you’re not thinking about what you’re eating and thus you’ll eat more. Mindful eating will let you sit down with your food and really enjoy the taste and effort that went into the meal. For more tips and tricks for eating fresh foods, continue to read our blog.